This frozen breakfast product is described on the box as turkey sausage with egg whites, roasted red potatoes, reduced-fat Cheddar cheese, red peppers and onions. The cooking instructions ask you to cook for 2 minutes, stir and then cook for another 1 minute and 45 seconds. The first thing you notice when you open the package is that there are actual fluffy pieces of egg white in the mixture. This is a welcome departure from other frozen scrambles where the egg looks like curds of curious yellow food substance. Also immediately noticeable are large chunks of roasted potatoes which look appetizing even in their frozen state. The biggest drawback about this item is that the serving size is surprisingly small compared to what you might expect from the picture on the box. You'll probably also want to make a slice of toast to satisfy any reasonable morning hunger. Strangely, the eggs that look so appealing while frozen look a little bit more like chunks of tofu when everything is microwave and mixed. With all that said, the final product is actually quite tasty. It's quite rich. I found myself reexamining the ingredients to make sure I wasn't tasting a little bit of country gravy. That turned out to be a phantom flavor, but I still liked it. The cheese is noticeable but I wished there was more of it . The vegetables add a nice freshness to the dish while specks of seasonings round out the overall flavor. 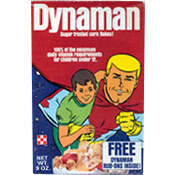 Overall, I liked this product. It's very good when compared to other frozen scrambles in the grocery store. When compared to homemade scrambles, it doesn't compare. Homemade will always be better, but for a quick replacement, this should satisfy most people. Nutritional Concerns: Each 1 container serving has 180 calories, 4 grams total fat (2 grams saturated and 0 grams trans), 20 mg cholesterol, 590 mg sodium, 17 grams total carbs, 2 grams dietary fiber, 3 grams sugar and 18 grams protein. 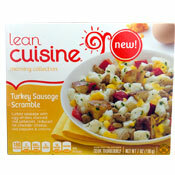 What do you think of Lean Cuisine Turkey Sausage Scramble? 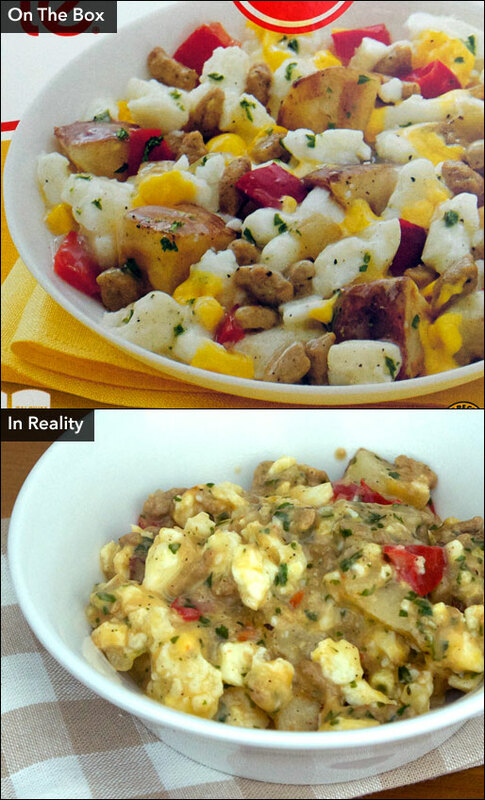 I tried the Lean Cuisine Turkey Sausage Scramble and did not like it at all. It had a very unappealing smell while it was cooking. I thought maybe it would taste better than it smelled, but no such luck. All in all, it was one of the worst frozen meals I have ever tasted from Lean Cuisine. I normally like their meals, but not this one!